The monkeys of Denmark are among the most disciplined, devoted, and well-trained charming sailors the world has ever known.. 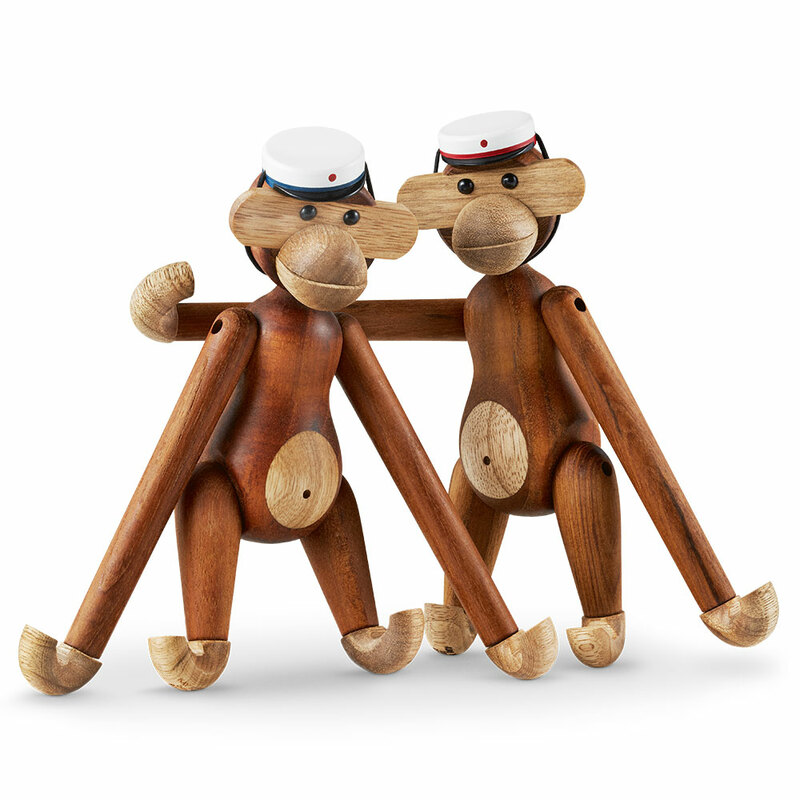 These two Kay Bojesen Monkey sailors, obviously feeling a little bit tipsy, rightfully took some time off after unloading a shipload of bananas from a South American sailing vessel. When you have to hold on to the grass to keep from falling off the earth; you know you're in trouble! Last year 120,000 ships anchored at the port of Port of Copenhagen while handling 18,300,000 tonnes of cargo and 192,000 TEU's making it the busiest cargo and container port in Denmark and one of the largest in Scandinavia. This whimsical banana-yielding crew stood out with their well-appointed sailor hats and minimalist costumes.